Do you have contamination issues? Do you want to extend you lubricant and Equipment Life? Do you want to Save Money. Do you want to Reduce Operational Costs? If you have answered yes to anyone of the above…….. 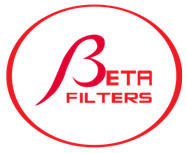 Welcome to Beta Filters our filters optimize the reliability of your lubricants and fuels while keeping your equipment operating at peak productivity. Beta Filters are designed, manufactured and tested to the highest industry standards. Beta Filters eliminate contamination from the wear of the components, and contamination brought in with new fluids (or new components) are just a few of the possibilities.Metal particles are continually produced by mechanical components and must be removed. Beta Filters are an important part of a hydraulic, lube and fuel systems, this is why no fluid system can be complete without the use of a Beta filter.
. Beta Filters keeping your fluids contaminant free.